The Sony CRF-320 Horizon Master is a double conversion, quartz synthesized digital receiver. 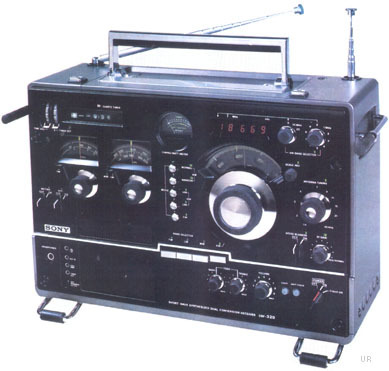 It covers 150-30000 kHz to include longwave, medium wave and all shortwave frequencies. It also receives the FM band. The 4.75 inch speaker delivers full sound. Enhancements include: ¼ inch headphone Jack, S/Battery Meter, Bass, Treble, RF Gain, Dial Lamp, Clock Timer, Noise Blanker, Dial Adjust, Local-DX Switch, Carry Handle, Record Jack, Aux. Input Jack, Muting and Antenna Trimmer. 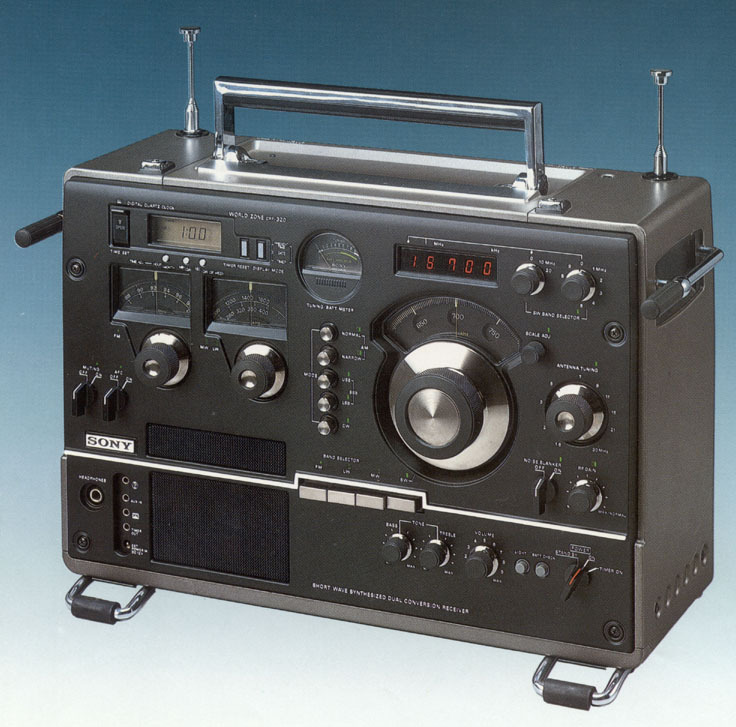 The model CRF-320K was similar, but with slide-out cassette deck. 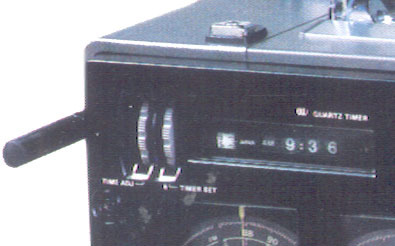 The later model CRF-320A featured an LCD rather than the mechanical digital clock found in the CRF-320. Operates from 120 VAC or eight D cells (plus one D cell for clock). 17.8 x 12.25 x 8.2 inches 28 lbs. (451x308x207mm 13 kg). Click here to view larger. Copyright 2008-2015 Universal Radio, Inc.